SALT LAKE CITY (Nov. 19, 2018) – Utah’s 2018-19 ski season continues to get underway this week with the opening of three more resorts. Snowbasin Resort will open on Tuesday, Nov. 20, a full day ahead of schedule. Park City Mountain opens on Wednesday, Nov. 21 followed by Alta Ski Area on Friday, Nov. 23. Snowbasin will offer eight trails and a small terrain park accessed by the Needles Gondola, Little Cat Express and Middle Bowl Triple lifts. The resort plans to celebrate opening day with first gondola giveaways, hourly social media contest giveaways for tagging #snowbasinopeningday, free live music on the plaza, free hot beverages prior to the lifts spinning and more. Guests can still take advantage of discounted season pass prices until December 2. For more information, visit snowbasin.com. Park City Mountain will have terrain accessible from both the Park City Mountain Village and Canyons Village. Lifts that will be open include PayDay Express, 3 Kings, First Time, Minecart conveyor, High Meadow Express, Saddleback Express, Frostwood Gondola and Red Pine Gondola. Celebratory events are scheduled to begin at 8:00 a.m. on Wednesday Nov. 21 at the Park City Mountain Village with live music, giveaways and complimentary hot chocolate and coffee. For more information, visit parkcitymountain.com. Alta Ski Area will be running the Collins lift with limited terrain available. For more information, visit alta.com. With a promising forecast heading into the Thanksgiving holiday, Utah’s resorts are primed for great early season conditions. 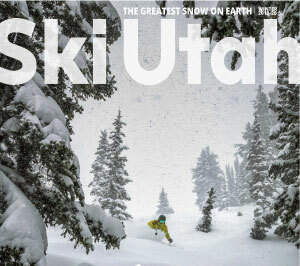 The most up to date information on resort openings, future forecasts and this season’s snow totals can be found at skiutah.com or on the Ski Utah app.